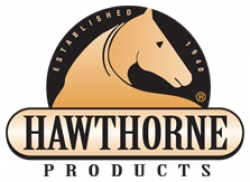 Hawthorne Products, Inc. manufactures and distribute quality horse care products. Our products are designed for equine hoof care and equine leg care. We also provide our well known Ice-O-Poultice, Wind Aid, as well as essential commodities.